Although the figures are still provisional, in an analysis by sub-sector estimates predict that machine-tools will grow by 7.8%, chip-removal (starting from a lower figure) will see growth of 7%, while shaping, at an all-time turnover high, predicts growth of up to 8.8%. In turn, parts also saw growth but at a slightly lower rate (+2.5%), mainly due to the current situation being experienced by manufacturers in Asia. Tools improved in the final quarter, closing an even year. 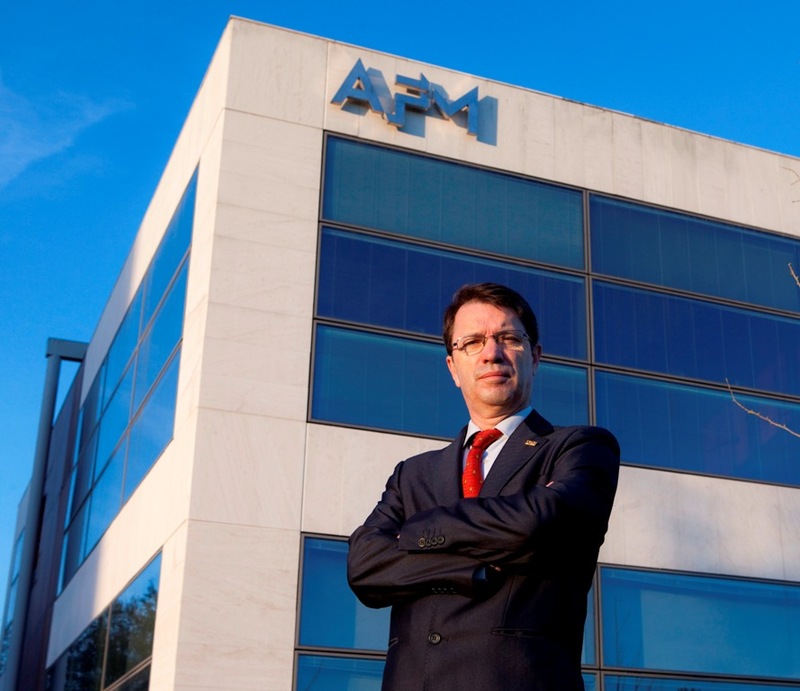 José Ignacio Torrecilla, Chairman of AFM Advanced Manufacturing Technologies, states: “It has been a difficult year to read. We closed 2012 well in terms of winning orders, particularly in the shaping machine subsector, and this has led to a significant growth in turnover in 2013. However, the first half of the year was very weak and orders were heavily affected. The final stretch of the year was somewhat more animated, leaving a better taste in the mouth. So this is how we will start the new year: with a smaller portfolio but more hope than we had a few months ago. It's really difficult to make predictions. Improved orders and the same turnover would be a good result. We must not forget that during the long economic crisis we have been through, most of our businesses have suffered a great deal and we are still a long way from being able to talk about a situation of overall recovery. Companies that are more dependent on the local market with a less focused product range are making real efforts to evolve their business activity towards more favourable environments. They need full support for their efforts at internationalisation and innovation." In terms of exports, it is expected that behaviour will match that of production and be repeated in the subsectors. The whole sector’s tendency towards exports once again exceeded 80%, with machine-tools achieving figures of over 90%. It should be emphasised that the machine-tool and manufacturing technology sector contributes a net surplus to the trade balance of over 700 million euros, a spectacular sum in both absolute terms and in relation to other activities. By market, the first noteworthy point is that the strong growth seen in Asia is now slowing down due to structural changes in the Chinese investment model and a slump in the Indian economy. However, Europe seems to be making timid steps towards recovery, although not enough to compensate for the drop in Asia. The United States, which is maintaining a healthy level of demand, remains unfinished business. Overall, there were fewer net orders in 2013 than in 2012. Using export data up to October for machine-tools, the main five markets in 2013 were: Germany, which recovers its leading position with 15.9%, followed by China (13.6%), France (7.9%), Brazil (5.4%) and Russia (5.2%). These markets were then followed by the United Kingdom, Mexico, India, Portugal and the United States. Spain is recording a recovery but evolving from truly poor figures and therefore although relative growth may be high, data in absolute terms is still very weak. In any event, sales orders (+75%) have improved in the international market for the first time in two years, and levels of industrial activity have seen gradual changes in terms of trends. José Ignacio Torrecilla continues by adding: "Uncertainty levels are still very high and weaker portfolios must be combined with only an incipient glimpse of recovery prospects. We will have to wait to see how the year evolves, because although there are reasonably positive prospects, they will need to materialise soon to have an effect on the sector’s results for this financial year." The next important date for the sector is the BIEMH fair, which takes place in Bilbao from 2 to 7 June. Mr Torrecilla describes the most important industrial fair in Spain: "The changes occurring at a macroeconomic level must have an impact on local industry and, in fact, exhibitor numbers reflect the improved expectations for the national market. We know that, as always, visitors will respond to the overwhelming effort made by manufacturers and distributors to show them the latest developments." The Chairman of the sector association views the measures to drive industrial machinery forwards that were recently revealed by the Basque Government as highly positive: "Providing SMEs with favourable conditions so that they can invest in equipment is good for everyone and has a double multiplying effect: firstly, there is a pull on our sales, naturally, but what is even more important is the effect it will have in terms of the improved competitiveness of companies that have modern production processes. The Basque Government’s initiative for the Autonomous Community of the Basque Country is truly laudable and we hope that similar measures are adopted across the rest of Spain, which is in even greater need of a boost such as this. Finally, any measures that focus on the financing of ordinary activity, one-off orders, and particularly efforts made towards internationalisation and research, are essential."